Orkney is one of our favourite places and so what better place to visit to celebrate our 30th wedding anniversary. 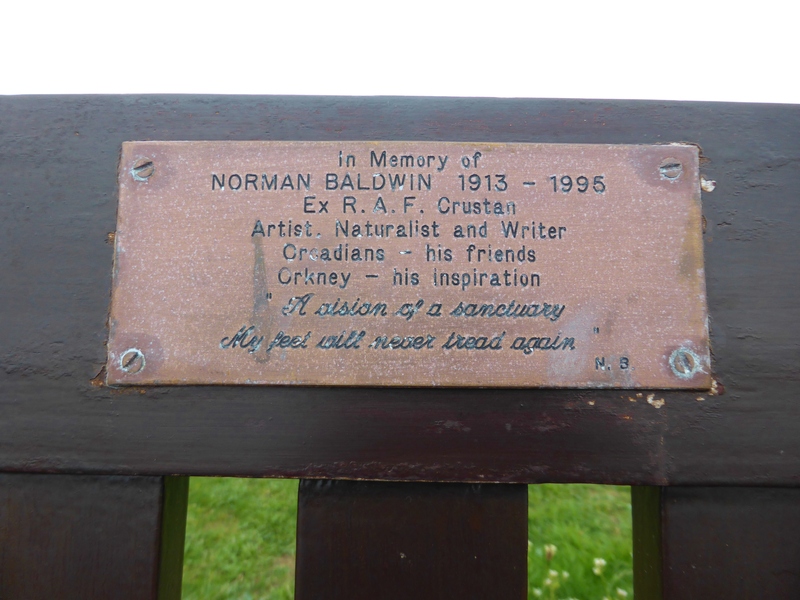 While walking from Birsay we came across this very intimate memorial bench to Norman Baldwin. Norman Baldwin was stationed on the Islands of Orkney during the Second World War and the islands and the people made a lasting impression on him. He wrote about this time in his book, ‘Fae Abune th’Hill’; the book includes beautiful line drawings by the author. 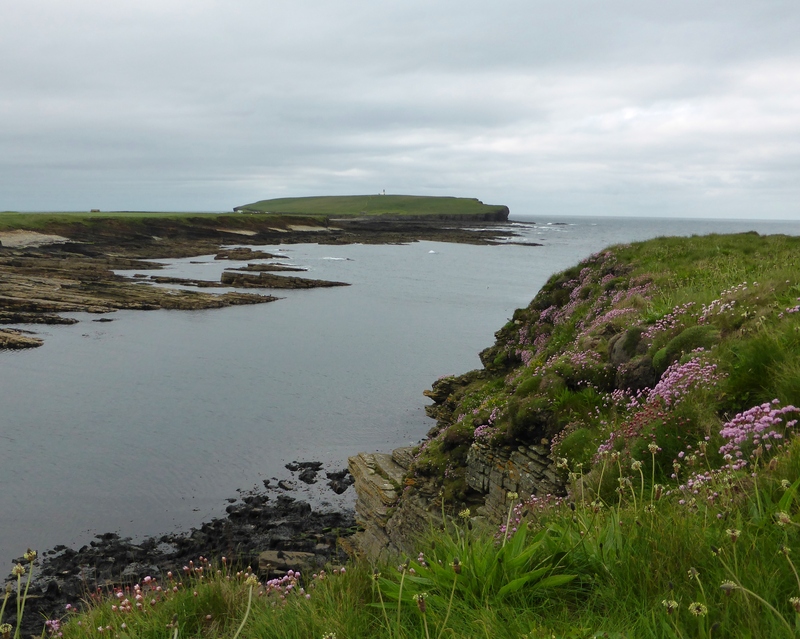 He wrote, ‘Birsay shore holds very special memories for me; scenery, history, poetry and above all, friendships’. Norman Baldwin was based at RAF Crustan radar station at Abune the Hill on the north of Mainland Orkney during the Second World War. The remains of the camp can be seen here. This was a wind swept spot that would have been a challenge to live and work in.